First, there was the KCRW pie contest. A living testament to my new-found ability to apply logic and civility to my everyday life. NBS is my new mantra. NBS is my new calling. I think we can all agree that these clearly fall under the category of "household staples". Yes? Perfect. Because that's the way I (maturely and logically) entered the costs into Quicken. "A proper English Afternoon Tea is so inviting to both men and women. A little relaxation in the afternoon, a time to socialize a bit, and a lovely snack with the pick-me-up of caffeine. " "For a lovely starter...quarter some strawberries, sprinkle lightly with sugar, add a little lemon juice and a little grated lemon rind, and allow the berries to macerate in the refrigerator. Serve with a dollop of creme fraiche or sour cream, and a little champagne!" "The items in our menu are developed exclusively for teas. They would not make good hors d'oevres for a cocktail party because a "tea" savory item is milder, and not meant to be served with liquor. **** Tea sandwiches differ from other sandwiches in that they must be extremely thin, almost transparent." Delicate sandwiches that are not appropriate for cocktail parties? Check! I have to say, we are doing very well in this class so far. "As for the sweets, they too are best suited for teas than for dinner desserts. Our sweets are lighter, less goopy, and easy to handle." Un-gloopy desserts. Yes, ma'am! We are good with these. And of course, current scones. "The perfect accompaniments to tea." Perfect accompaniments. In fact, A+ accompaniments, if you ask me. I ate two, for extra credit. The tea was hot and strong, the table was set with china and silver, and we were, like her royal highness, experiencing great pangs of hunger. In a most civilized manner, we lifted our little pinkies, and ate like queens! Practical, level-headed queens, of course. These cookies are so good that I seriously considered renaming this blog in their honor. Instead, I renamed the cookies, in the hopes that they will make themselves at home here and never leave me. So you believe in you! Ma ma se, ma ma sa, ma ma coo sa! Alton Brown recipe I used here. Or, if you're in the neighborhood, stop by here and borrow a cup of mine. Recipe for using sourdough starter in the no knead bread recipe here. 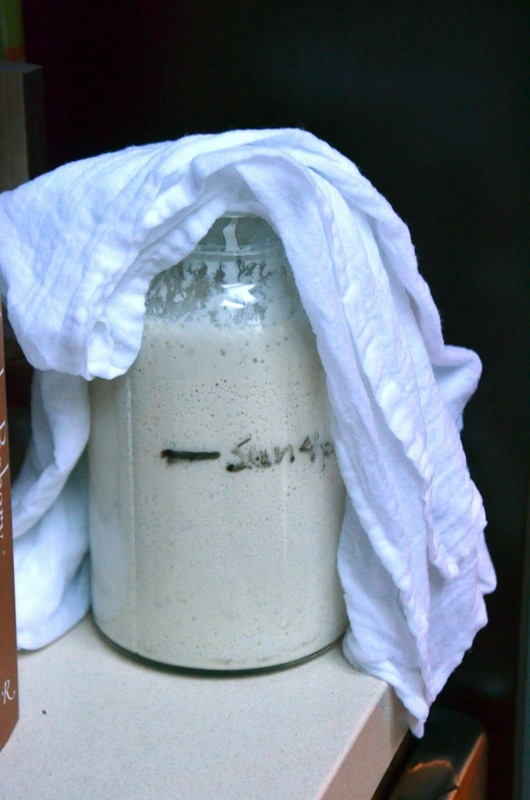 Formulas to swap sourdough starter into standard yeast recipes here. And check back here in coming weeks for my attempts at sourdough pancakes and biscuits.